New York, NY (Top40 Charts) We have been having some issues with our Facebook integration and you may be unable to login on the site for the last couple of days. Or register a new account for that matter. The functionality is restored now. Feel free to test things out by logging out (if you are logged in) and logging in again at the members page. Or why not register a new account for the fun of it (you can also remove our ads this way). 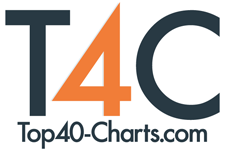 If you face any problem please let us know by contacting us at www@top40-charts.com.